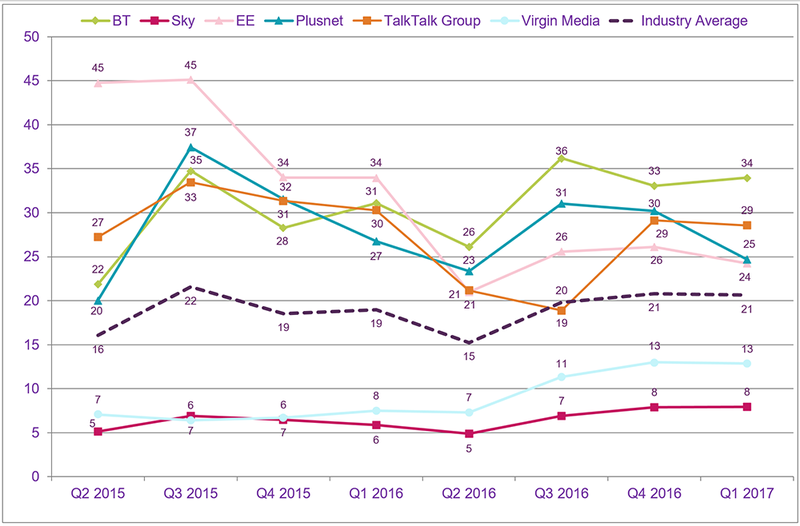 Ofcom has today published its regular report on the volume of consumer complaints it has received against the major providers of telecoms and pay-TV services. The latest report covers the three-month period from January to March 2017 (Q1), and includes complaints made about providers of landline telephone, home broadband, pay-monthly mobile and pay-TV services. Complaints figures are presented per 100,000 customers. 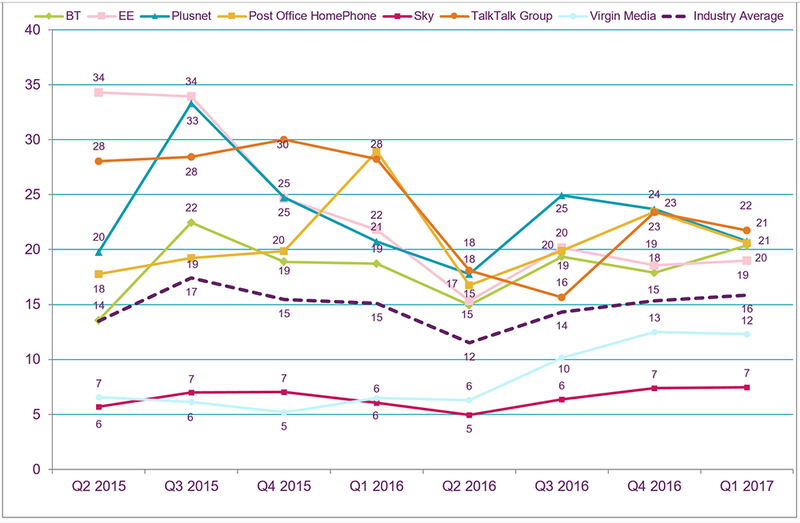 Complaints about landline telephone services increased between Q4 2016 and Q1 2017, while pay-monthly mobile complaints fell. 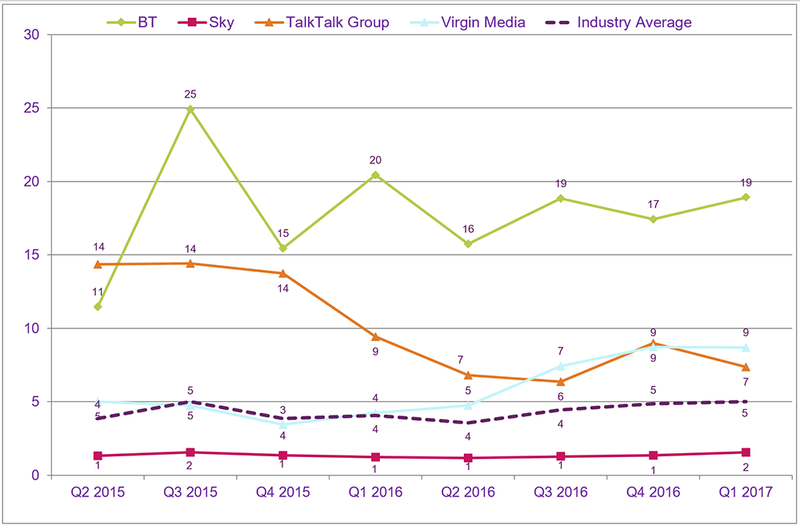 Broadband and pay-TV complaints remained stable during this period. Lindsey Fussell, Ofcom's Consumer Group Director, said: “Our report shows that, for a number of providers, there is still much room for improvement. 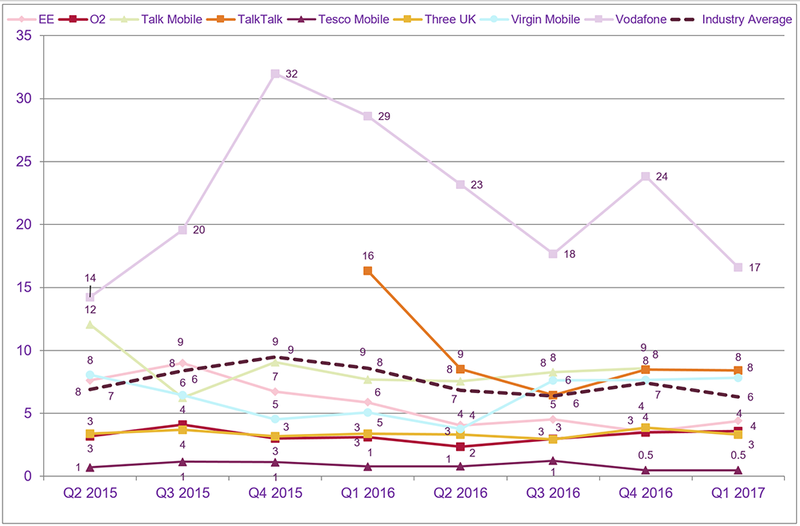 Ofcom has published data on the volume of consumer complaints it has received against the major providers of telecoms and pay-TV services.